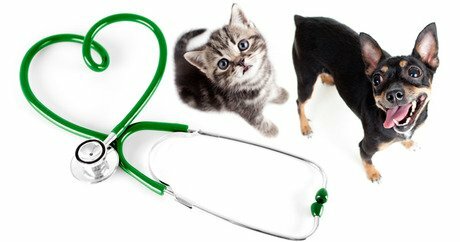 Whether you’re a new pet owner or have owned several pets for years, it’s a good idea to select a veterinarian before you actually need one. This way, you’ll be working with someone who you feel comfortable with and seems to have a good rapport with your pet rather than a vet who is simply nearby, open, or listed first in the Yellow Pages. Look at each veterinarian’s website for a glimpse of the vet’s personality, staff, and capacity. While someone can be an excellent vet yet still have a less-than-impressive website, it’s still a quick way to narrow down a long list. Search out what information you can from the site, such as location, rates, specializations, and number of employees. It’s also a good sign if a vet clinic is accredited by the American Animal Hospital Association (AAHA). There are plenty of resources you can use to get recommendations for a vet. Many animal-centered organizations, like pet shelters, boarding businesses, and grooming salons, plus other pet owners, will generally be happy to provide you with the name of the vet they know and trust. Remember to ask about more than just the veterinarian — get insight into staff members, rates, and location. It’s also important to make sure they are accredited with the right organizations like the AAHA. When you’ve identified the vet you feel might be best for your pet, schedule a checkup or a get-to-know-you visit. See how the vet handles your pet and observe how your pet reacts. While normal stress and wariness are normal in animals out of their normal element, it’s important for pets and vets to be able to get along enough to perform a basic exam. Ryean Bishop is the Online Outreach Coordinator for Bannock Animal Medical Center (BAMCVET) in Pocatello, Idaho.